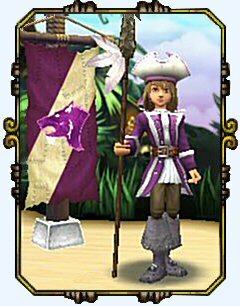 Scarlet is my very first character in Pirate101. She came from the Beta Test and I really like her a lot. Being a spiritual teacher and minister of my faith in real life, there was no question that my first Pirate wouldn’t be a “Witchdoctor”. As she travels through the Pirate Spiral we’ll post Quest Journals and Helpful Hints for each world she explores. Some places may not have a lot to talk about and we don’t to spoil the fun in playing. But there are some things that are helpful to know that won’t be spoilers. We’ll try to share those as they come up. Scarlet is currently Pirating in Skull Island with her first mate. Her first talent is being a born sneak. I guess I picked her Pirate name well! 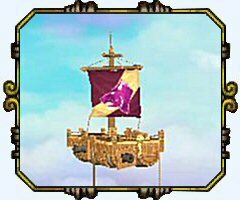 Her ship colors are dark lavender (what I think is the real scarlet color). 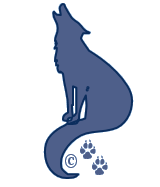 And her pirate signature flag is a wolf. Now with a name like Springwolf (that’s me), would I have chosen anything else? She is currently living in her Pirate apartment in Skull Island.